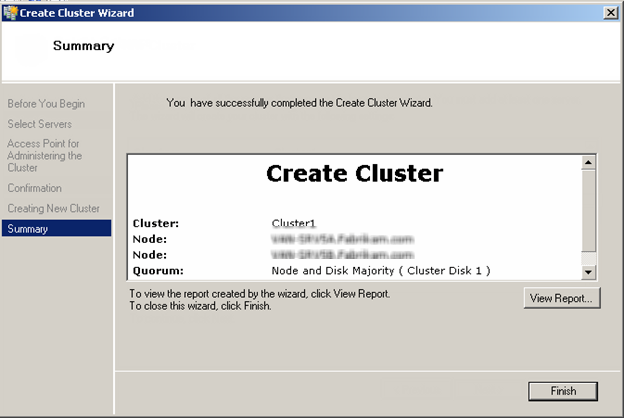 Now that we have already gone through Cluster pre-requisites and also Cluster Validation Wizard in my previous blog posts, let’s go ahead and create a new cluster. 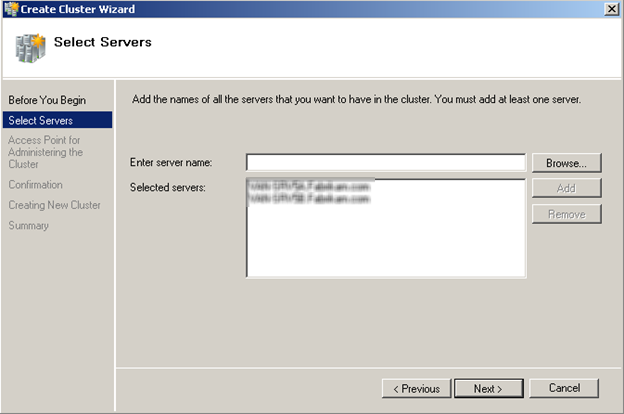 After, selecting Create Cluster option, Create Cluster Wizard will appear, which will guide you through the process of creating a new cluster. 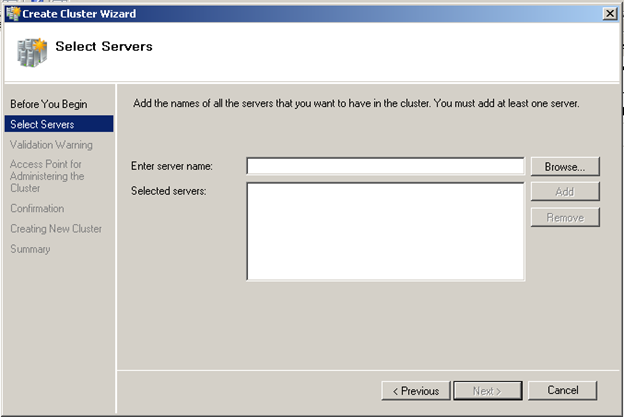 Next, we need to add servers which we are planning to include in this cluster. 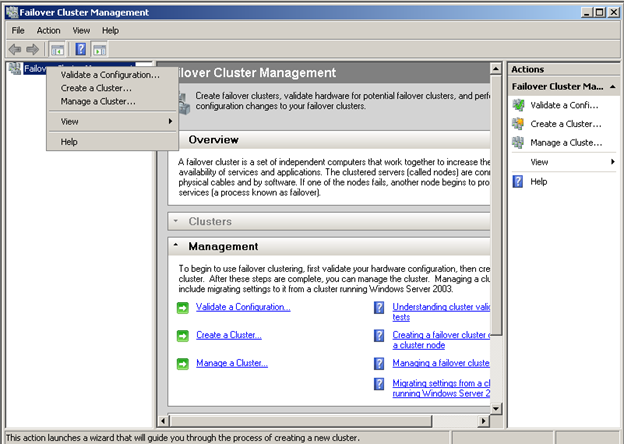 I will search from my active directory and add two nodes which I have already validated as my cluster nodes. 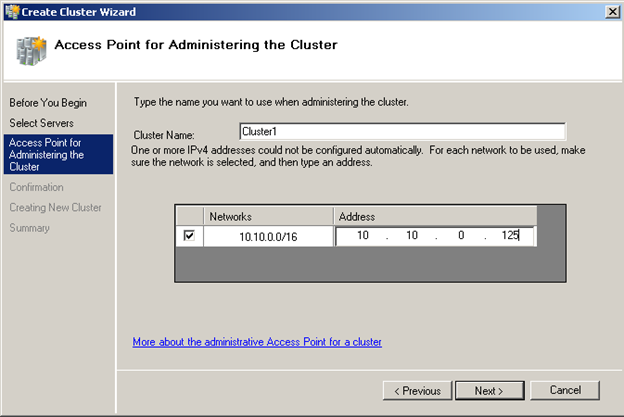 Next let’s see how we can verify successful creation of the cluster. 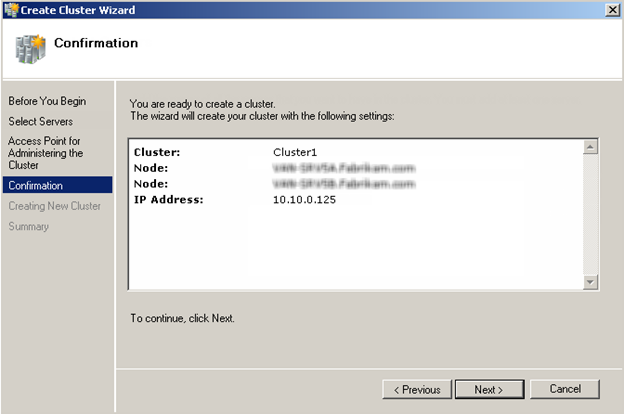 we can visit Failover Cluster Management Console to verify whether we can access Cluster1 which we just created. 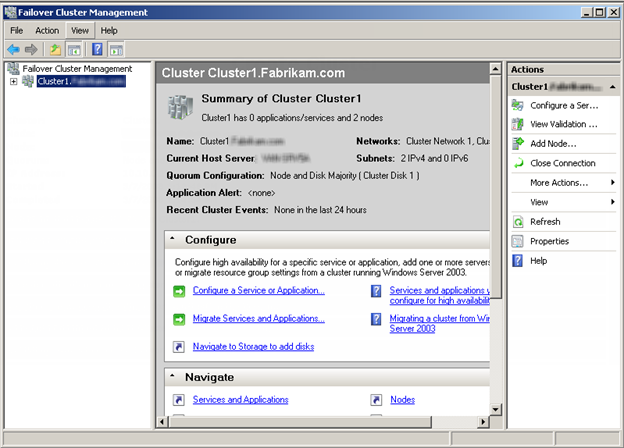 After accessing Cluster1, you can see that there’s a summary page which provides us with an overview of cluster configuration. Excellent detail documentation, keep up the good work. 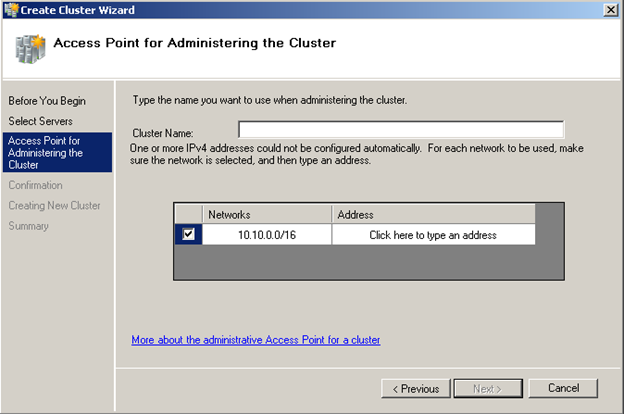 It came in very handy when I was creating Windows 2008 R2 Cluster. Do you have instructions on SQL 2008 SP! 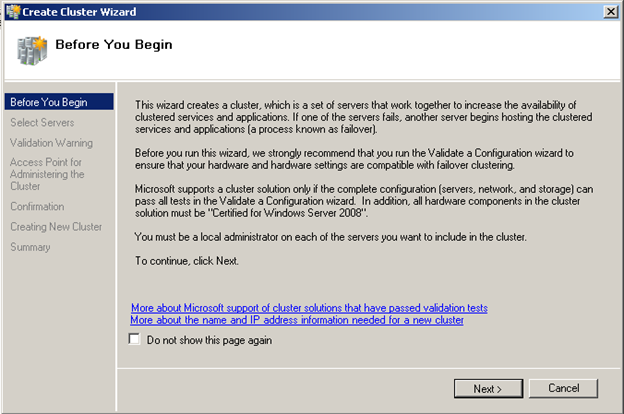 install on Windows 2008 R2 cluster servers?